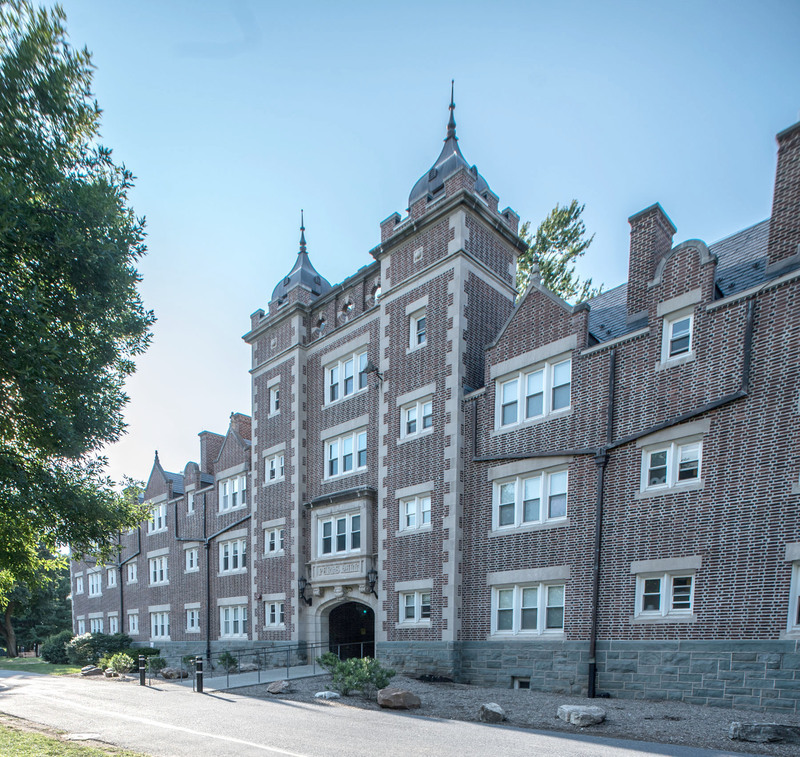 While the Ettinger Building was the heart of College activities at the new campus in the early days of the twentieth century, East Hall (then known as “Berks Hall”) was its home. The cornerstone of Berks Hall was laid on October 1, 1903. The cornerstone contained copies of the College course catalog, the minutes of the Lutheran Ministerium of Pennsylvania, copies of The Muhlenberg (the monthly predecessor of The Muhlenberg Weekly), and other items. The new three-story dormitory, designed, like Ettinger, by local architects Wallace E. Ruhe and Robert Lange, and erected by the firm of Ochs & Gangewere of Allentown, was built “after the Cambridge and Oxford style of architecture,” with an entrance through an arcade opening onto a courtyard at the center. The towers at the front entrance, topped with minarets, contained an office, a reception room, and rooms for baggage and for housekeeping. 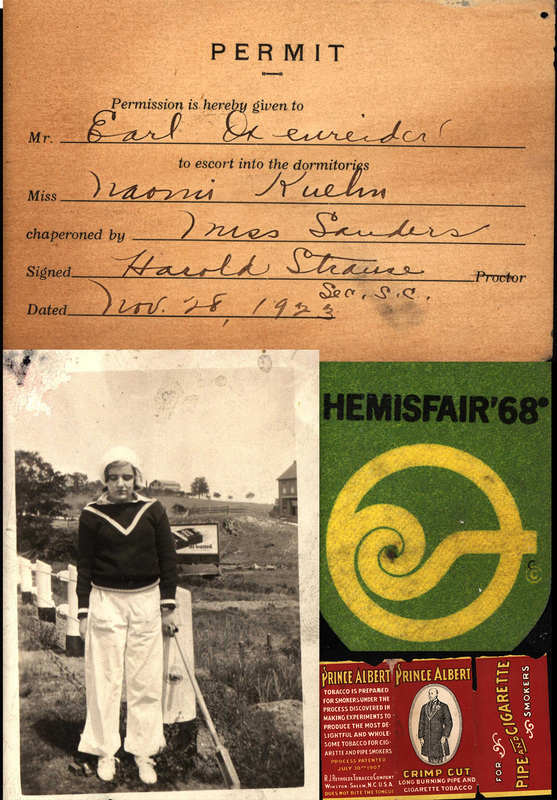 The accommodations included single and double rooms and suites, finished in wood paneling and containing fireplaces. Each floor possessed a modern lavatory with showers. 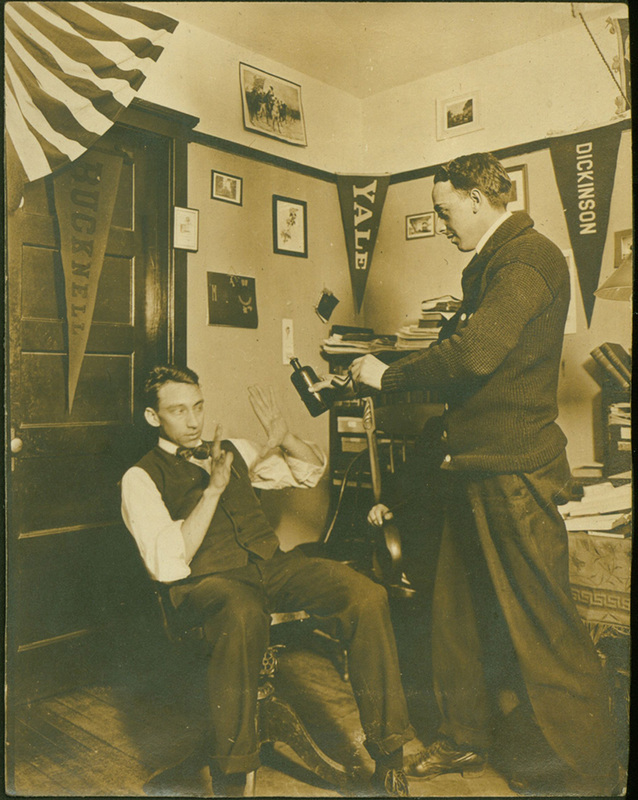 Students moved in during January 1905. 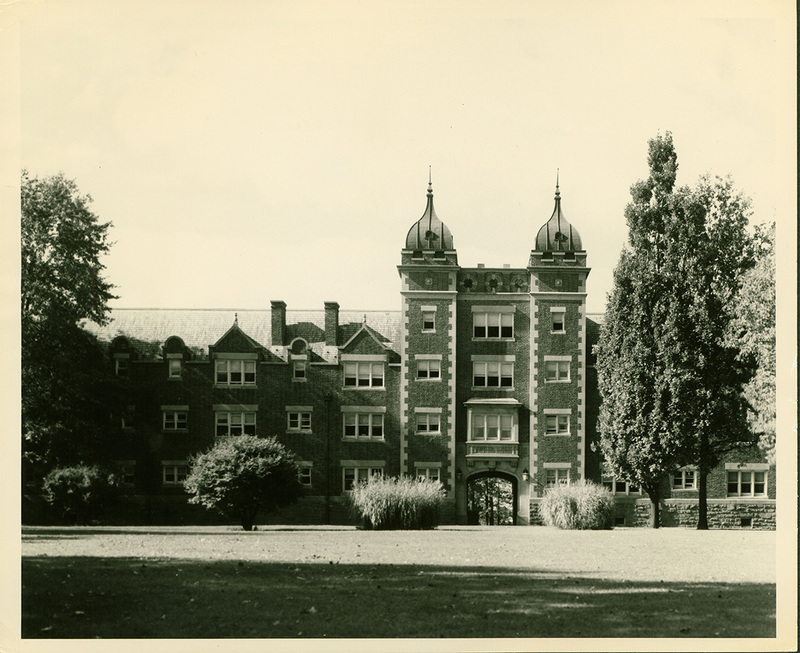 Berks Hall comprised the front, south-facing wing of the dormitory; the $35,000 for its construction was contributed by the Lutheran parishioners of Berks County. 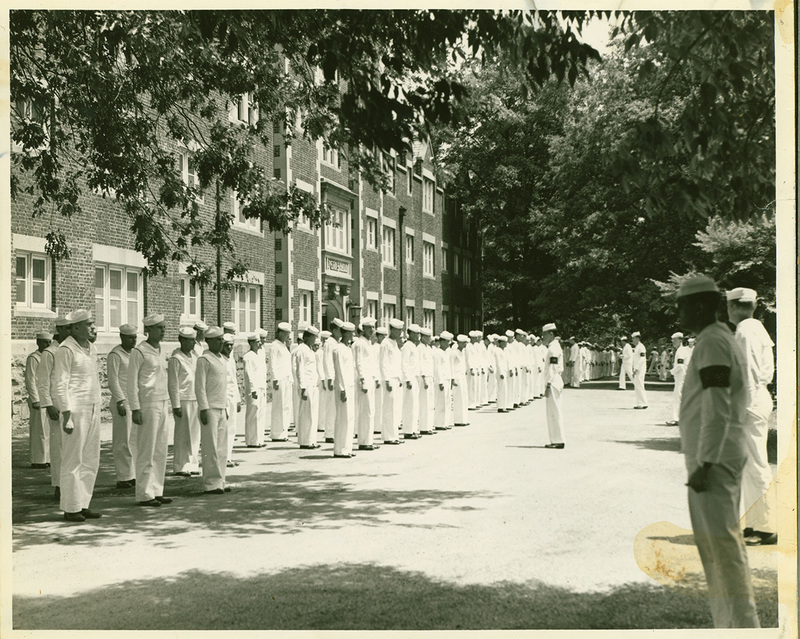 Rhoads Hall, funds for which were contributed by Mrs. Anna Rhoads in memory of her son John Warren Rhoads, formed an “L” wing that runs parallel with Twenty-third Street. Finally, in 1910, the shorter northwestern wing was added, named for the Luther Leagues of Pennsylvania, the contributing organization. 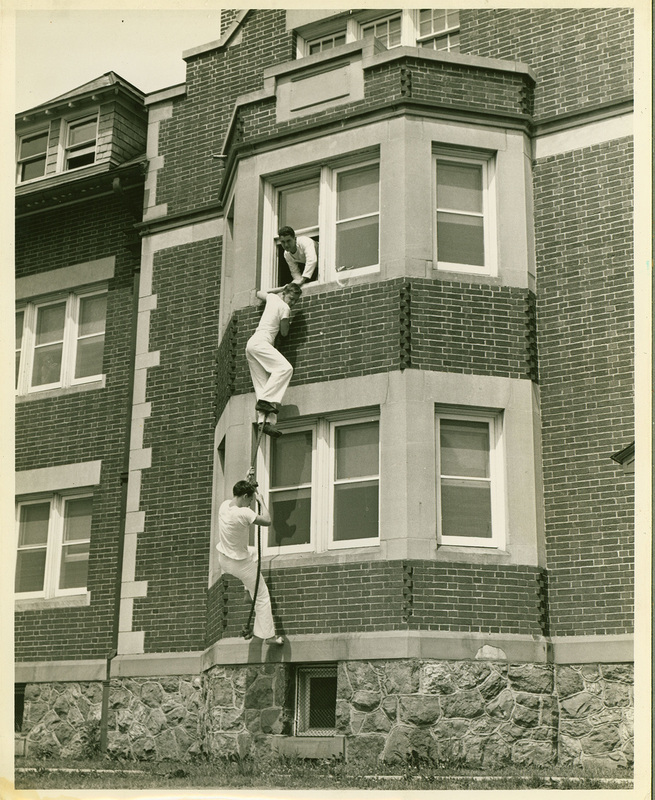 In 1950, East Hall underwent some much needed modernizations, including tile floors, drinking fountains, and interior and exterior repainting. 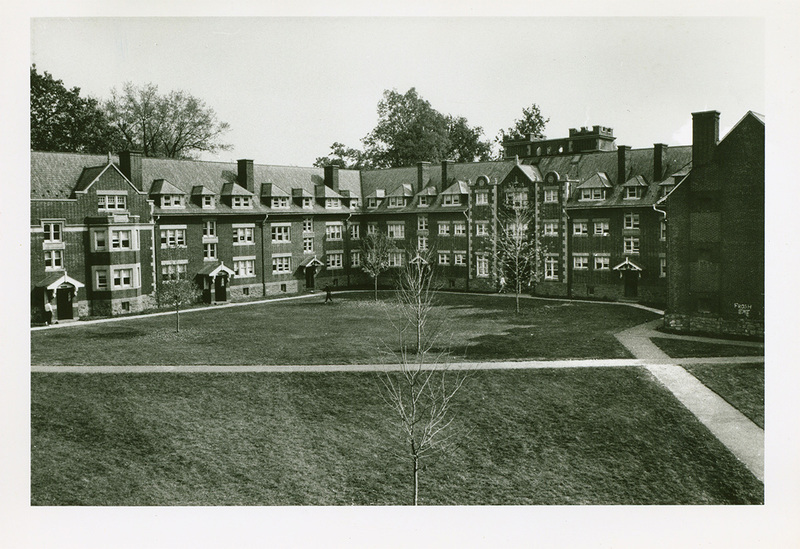 It remained a dormitory for upperclassmen after the adjacent Martin Luther Hall was constructed to house male freshman with the advent of coeducation in 1957. In 2013-2014, East Hall underwent its largest renovation to date, designed by Spillman Farmer Architects. 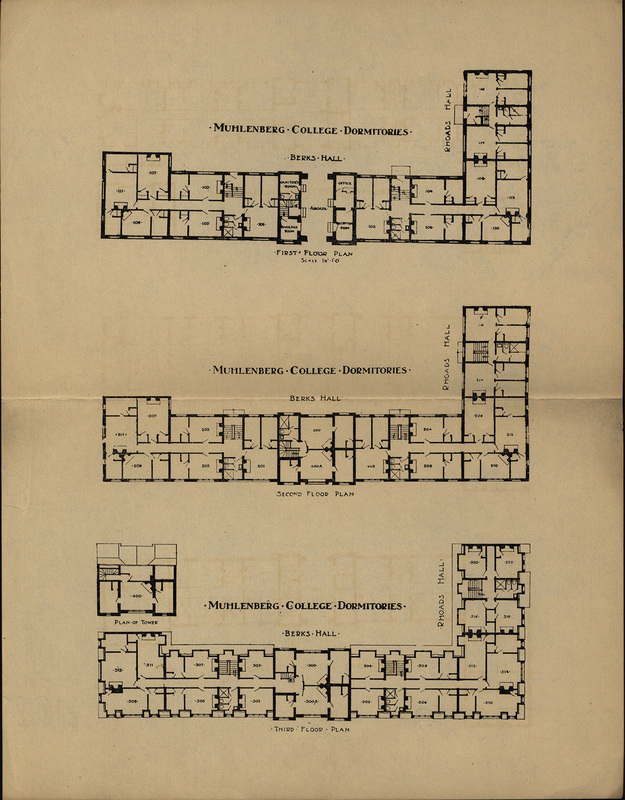 In addition to renovating the existing century-old student spaces, the design utilized modular construction to add rooms abutting the Luther League wing, including a tower that had been a never-built part of the original building plan. Additionally, Additionally, the cupolas, which had been removed in the late 1950s, were returned to the towers. 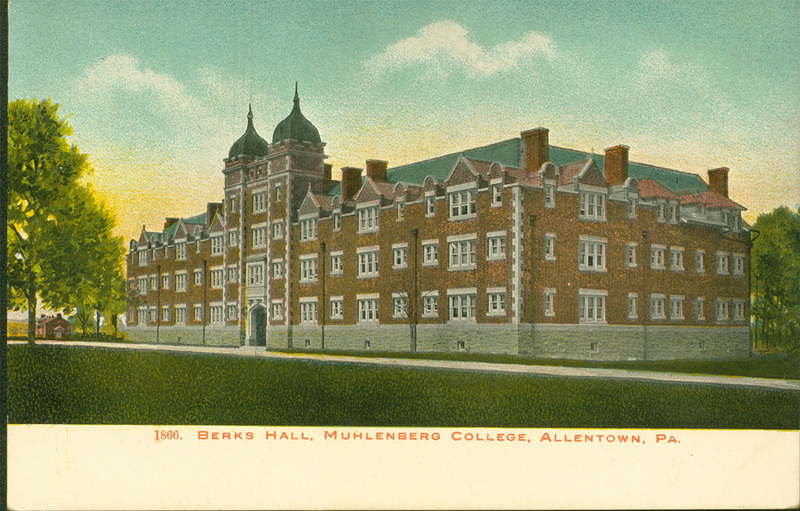 Special Collections & Archives, Trexler Library, Muhlenberg College, “East Hall (1904),” Muhlenberg Pathways to Present, accessed April 23, 2019, http://pathways.trexlerworks.muhlenberg.edu/items/show/27. Published on Jul 30, 2018. Last updated on Sep 13, 2018.